Microsoft launched the Surface Pro 4 tablet hybrid and surprised us with the new Surface Book 2-in-1 at an event on 6th October. We heard that the Surface Book would pack similar processors to those in the Surface Pro 4, namely Intel Skylake Core i5 and i7 chips. 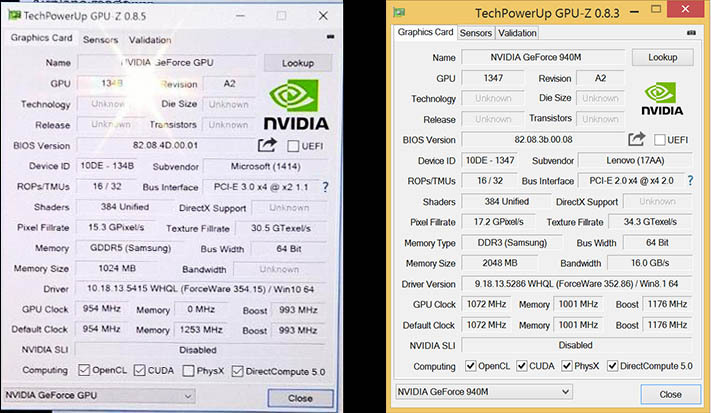 However the top of the range Surface Book promised a discrete Nvidia GeForce GPU. Unfortunately Microsoft didn't reveal any details about the dGPU it had chosen to equip in its "ultimate laptop," which it claims is the "fastest 13-inch laptop ever made anywhere on any planet". So over the last fortnight we've been waiting patiently for official word. People are already laying down their cash for the Microsoft Surface Book, with reports that it is sold out at this stage, or at least you will have to face weeks of delays in shipment. 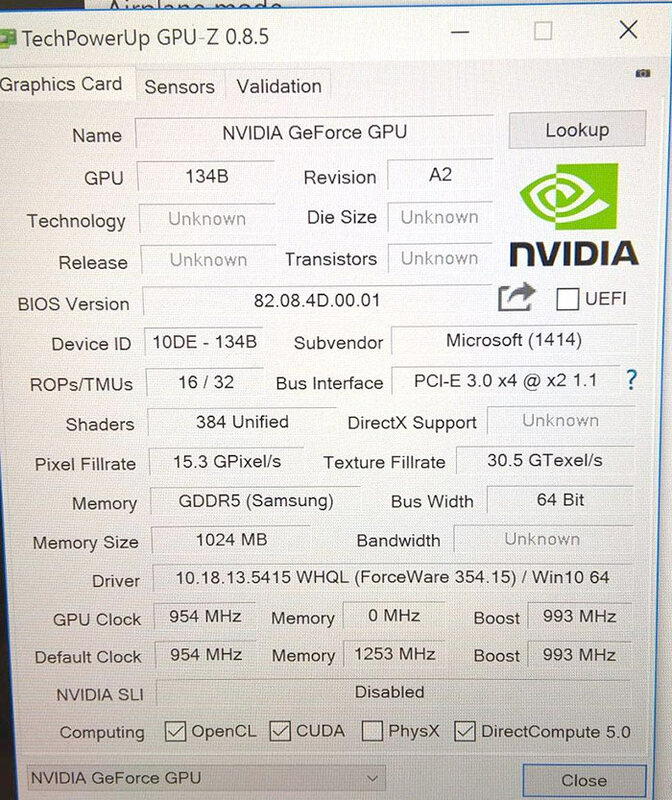 Yet we don't have any proper specs for the Nvidia GPU in the top model. 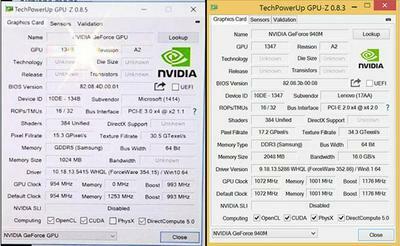 As mentioned in the intro, some Reddit members have managed to run TechPowerUp's GPUz on the Surface Book as well as a few other utilities to try and determine the GPU equipped. Other redditors were more successful in getting to install programs and two of them managed to run GPUz (as linked in the intro paragraph). The results are embedded below. As you can see, Microsoft's custom Nvidia dGPU is approximately similar to the Nvidia GeForce 940M. 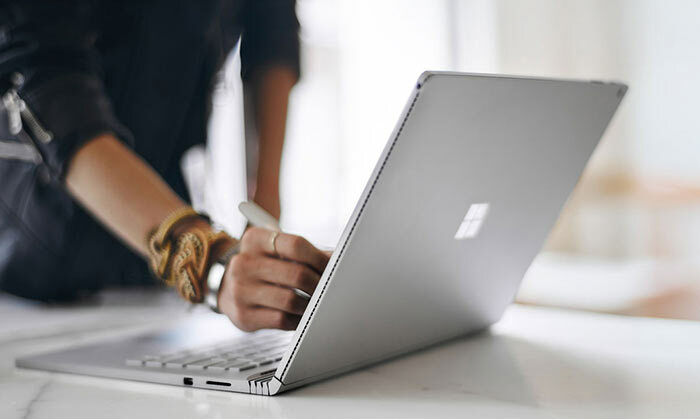 "Our validated performance claims are for the Microsoft Surface Book with an Intel Core i7 with 16GB RAM and custom discrete NVIDIA GeForce GPU against the MacBook Pro 13-inch with Retina display with an Intel Core i7 with 16GB RAM. We used third-party benchmarks to test the best available Surface Book against the best available 13-inch MacBook Pro." Microsoft Surface Book shipments to pre-order customers and any retail availability will begin on 26th October. It's not even a 940M… it's slower and has less bandwidth, you could maybe call it a 935M, well considering there isn't really any upgrade between the 940 and the 840 you could call it an 835 lol.